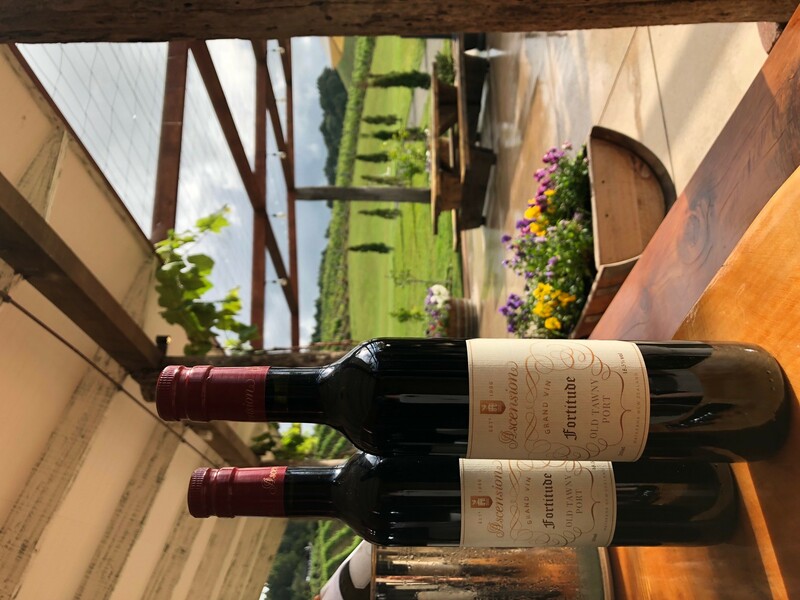 There is nothing better than to indulge in a beautiful bottle of wine while surrounded by a gorgeous sun-lit vineyard. But that’s not the only reason you should visit Ascension this Summer… here are a few more! 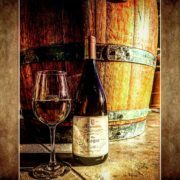 If you enjoy delicious and somewhat unique wine – this is the place for you! 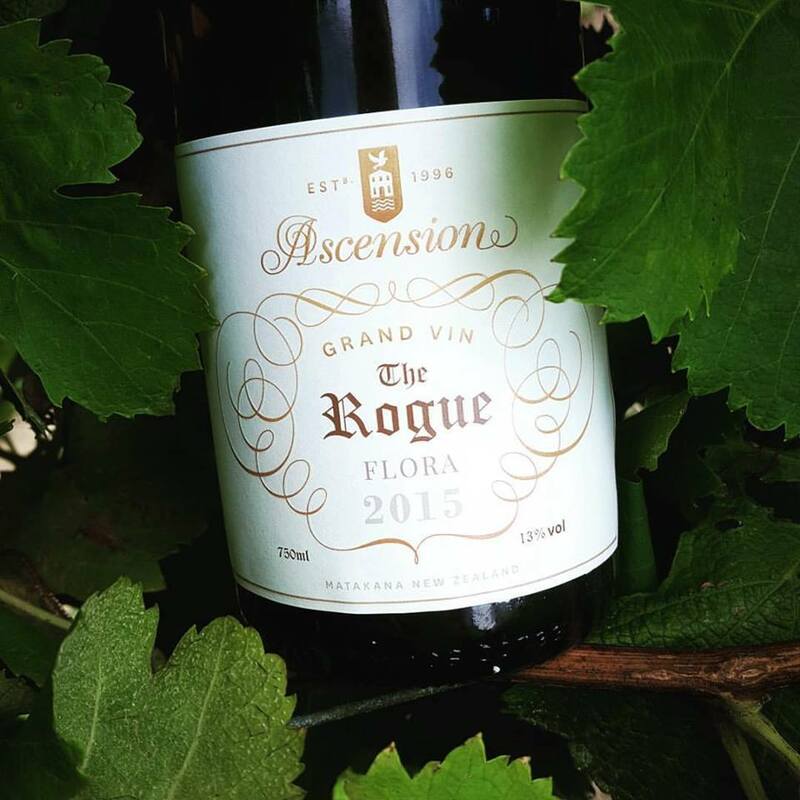 From our classic Sauvignon Blanc – the Passion, to an unusual Flora (“The Rogue”) or to a light and flavorsome Pinotage (ask for “The Bell Ringer”) – we have a range of wines to suit your preference. 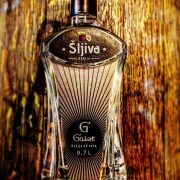 What’s more is that we have 6 new varietals in progress! 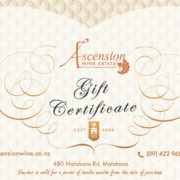 See our current selection http://ascensionwine.co.nz/store or drop in for a tasting from Thursday – Monday 11am – 4pm. This is our special herb garden. You will often see our chefs foraging through these gardens to collect tasty herbs to add to our tasty lunch and dinner dishes. A classic Italian-style fountain acts as the center-piece among the rosemary, thyme, basil, peppermint, parsley and lavender. The garden is a quaint and peaceful setting. If you haven’t yet come to visit us here at Ascension – you are missing out! The menu at our Osteria Restaurant is a depiction of what Italy does best – exquisite food and wine in a romantic Mediterranean setting. 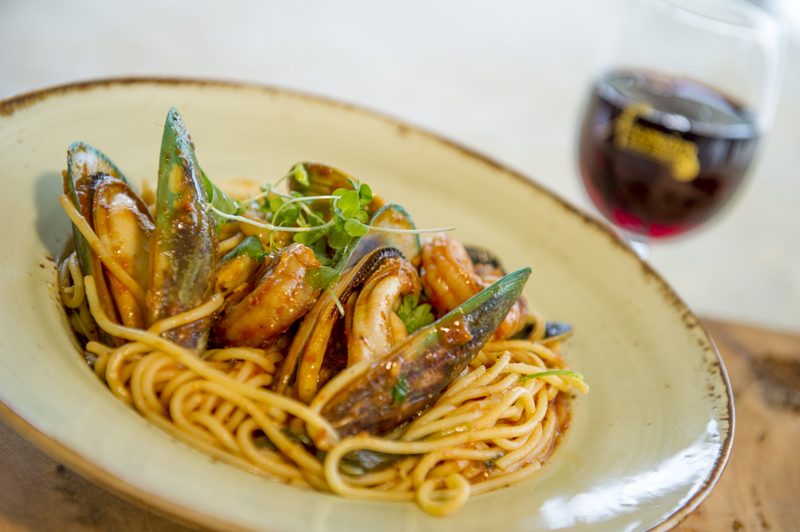 We have contemporary versions of many Italian classic dishes including delicious pastas, risottos and wood fire pizzas! As well as your hearty main courses. Knowing New Zealand weather, we offer a range of dining venues – ensuring that even rainy days can be spent in front of a cozy fireplace in our courtyard lounge. 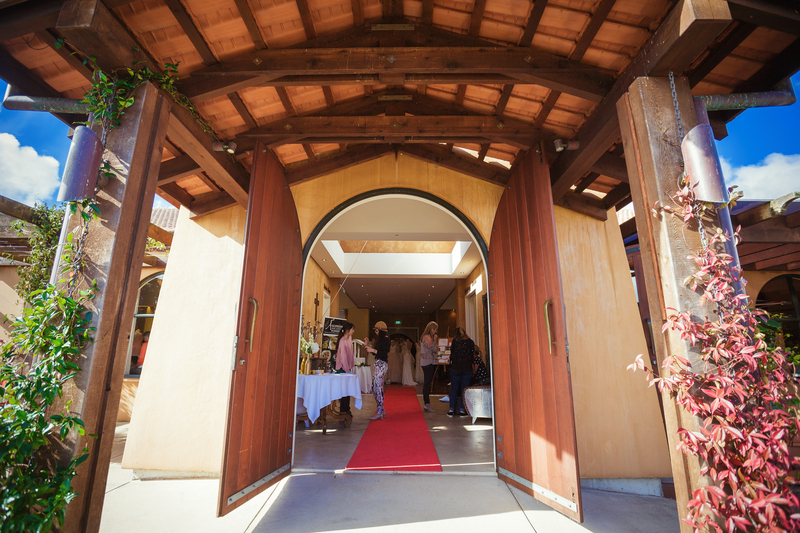 Our private wine cellar is an exclusive area just below the winery. 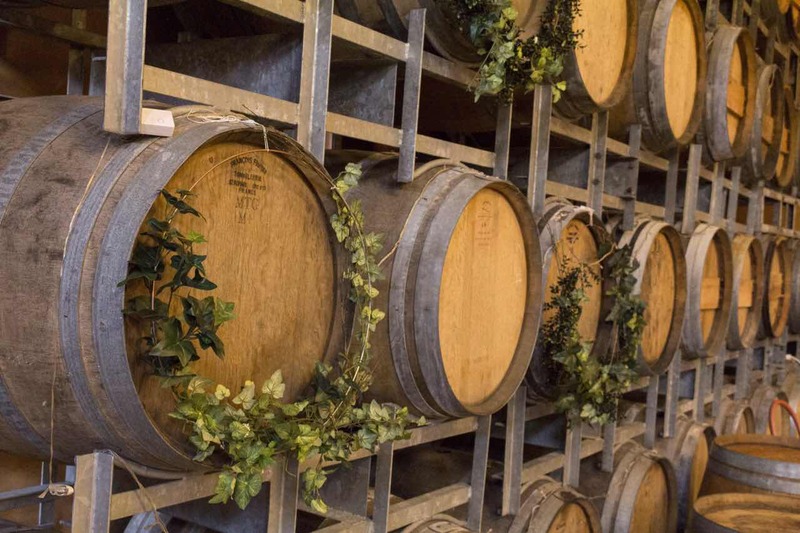 With beautiful French oak barrels and a collection of special reserve wines from all over the world – our underground barrel cellar is worth a visit. It also makes a very interesting and unique opportunity for photos – wedding or otherwise! 6) A different world – so close to Auckland! 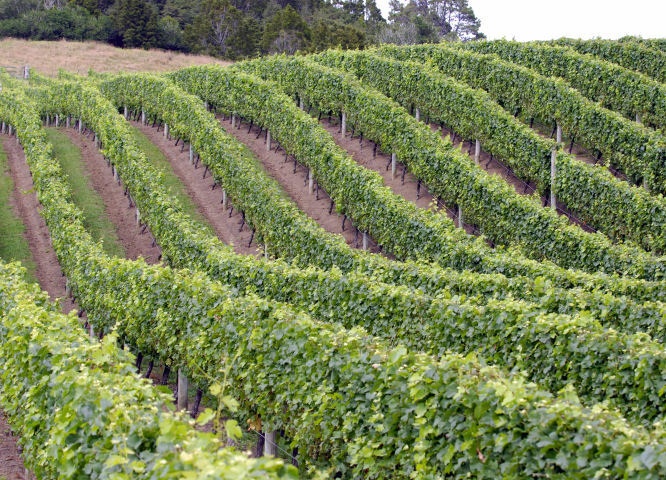 Drive up to Matakana and experience a beautiful vineyard landscape with rolling hills and beautiful forests. 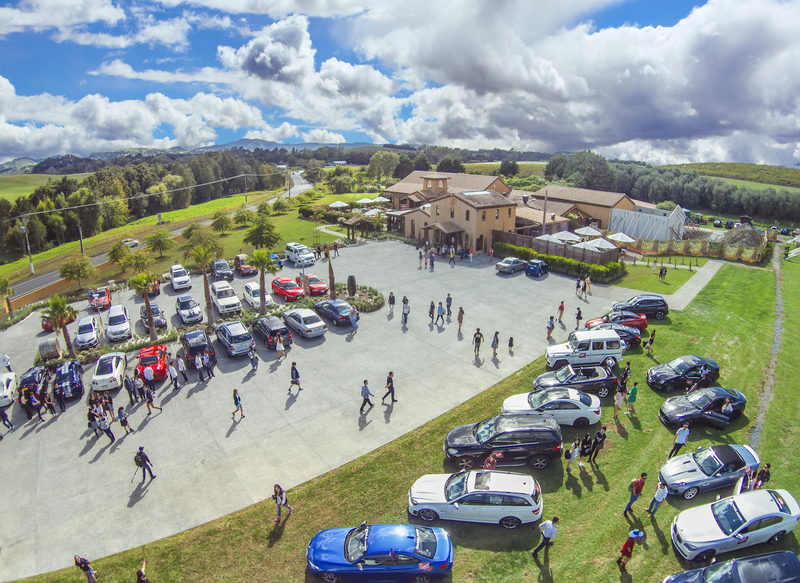 There is a peaceful country feeling here which is evident when you step out of your car and join us at Ascension Wine Estate. 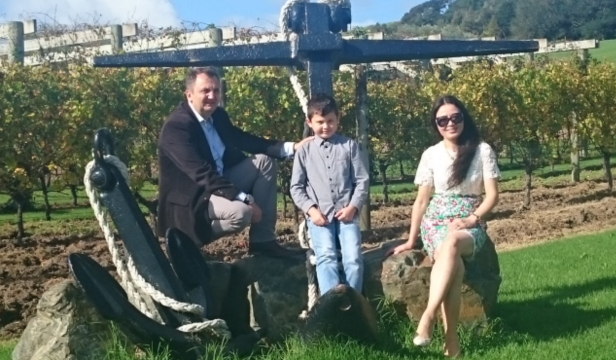 A different world – yet so close to Auckland! This is one of the most appealing things about this Italian-inspired venue. 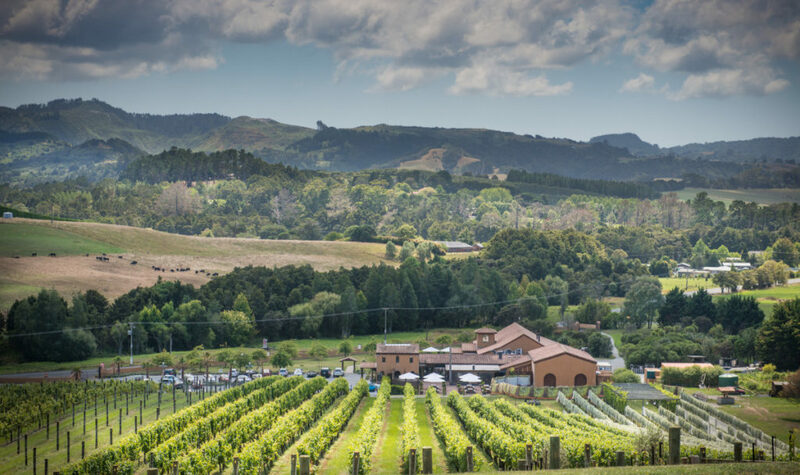 Take a break from Auckland and come dine with us at Ascension – just 45 minutes North of Auckland. 7) We are family friendly! 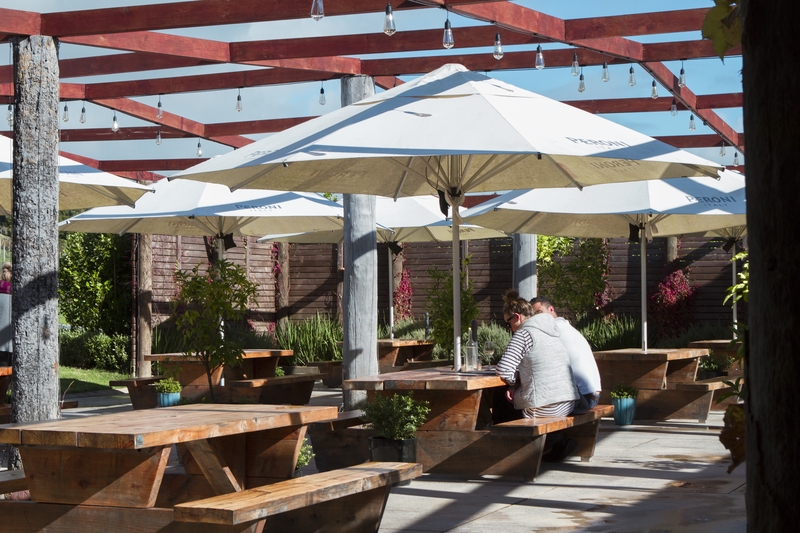 Here at Ascension we have big outdoor spaces, and cozy indoor spots – with child-friendly areas. There is a variety of spaces to dine in and enjoy. These family-friendly spaces mean that you adults can enjoy this space – knowing that your kids are close by and welcomed into our family-owned Estate. We understand the importance of a family-friendly environment and we aspire to please with our harmonious indoor-outdoor flow. 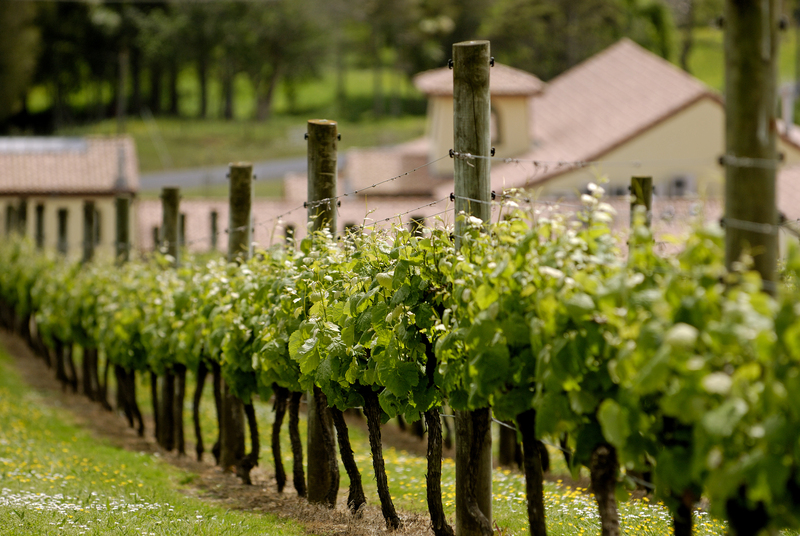 Our beautiful Matakana vineyards are on slopes which helps to drain the clay soils. 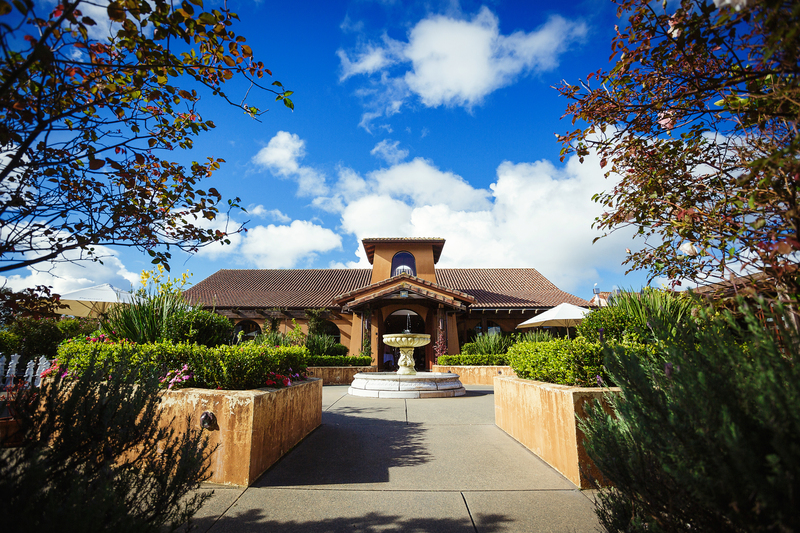 They create the most beautiful backdrop to our Tuscan-style Wine Estate. Enjoy the fresh green vines, take a walk up the mountain and enjoy the beautiful country ambiance. During Summer there is no better place to sit with a beautiful glass of wine at Ascension Wine Estate overlooking the vines! There are comfortable wooden tables with easy access to areas for outdoor activities – backyard cricket, soccer nets, tug of war and other backyard games. We can also arrange archery or clay shooting for larger groups. There is also a covered area as well as beautiful fruit plants & vines. It is next to the courtyard lounge so there is a lovely indoor / outdoor flow with bi-fold doors. 10) Hidden Valley @ Ascension! 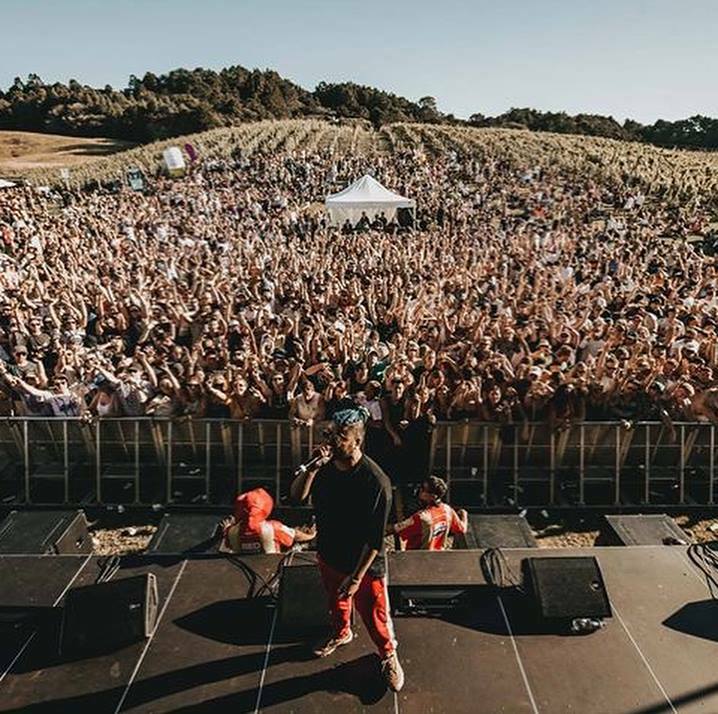 George FM and Redrum present Hidden Valley – a brand new one stage, one day – in between Christmas and New Year’s event. 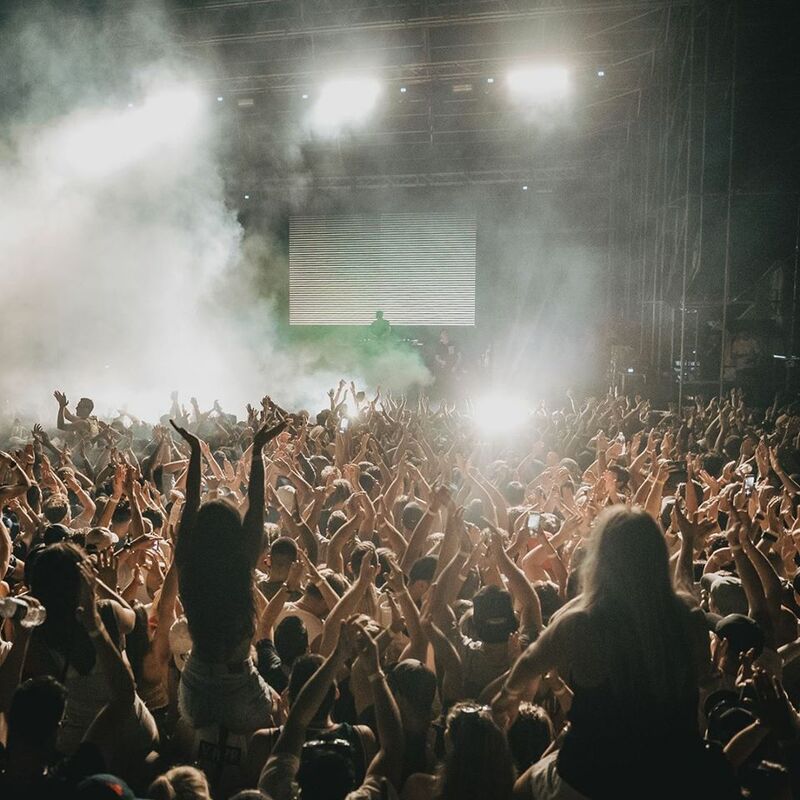 Itwill be a fantastic atmosphere – acts including Netsky + Wilkinson DJ Sets. Tickets can be purchased here or follow our facebook page (click here) to see upcoming promotions that could win you free tickets!